Bad ankles are one of the more common injury risks runners suffer from. But whether you were born with bad ankles or are recovering from an injury, it’s not impossible for you to run. With a good pair of shoes, you can still run with confidence and comfort. Many of today’s running shoes are designed to help with existing problems and prevent further issues. When looking at running shoes, there are a number of features to keep in mind to ensure the best support for your ankles. With the soles, you want them to be stiff, but not too thick – aim for thin to medium thickness. You also want good support throughout the whole shoe, not just around your ankle. Finding shoes that combining these features will help you pick out the perfect pair. 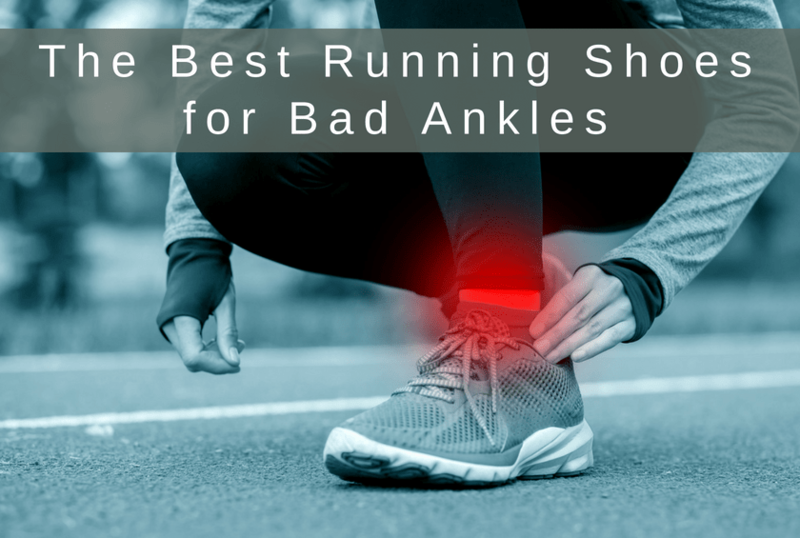 Regardless of whether you’re recovering from an injury such as a sprained ankle, or have bad joints due to an existing medical condition, your ankles don’t have to keep you from running. Take a look at these models for the best running shoes for bad ankles. The ASICS Gel-Kayano 25 is a fantastic option for anyone with bad ankles. The 25th-anniversary edition of one of ASICS’ most popular models provides full support. The plush, cushioned design is perfect if you’re looking for thinner soles. The midsole cushioning in the Kayano makes it one of the most comfortable pairs of shoes around. The cushioning has different densities around different parts of your foot. This ensures every part of your foot receives the right amount of support. It also enhances the comfort. The Gel-Kayano 25 has the latest iteration of their DuoMax support system. It reduces the overall weight and increases the shoe’s stability. The heel counter provides a snug, secure fit. And the upper is soft, breathable mesh without a lot of stitching. A new update to an old favorite, the sixth in the line of the ASICS GT 2000 is another great shoe. 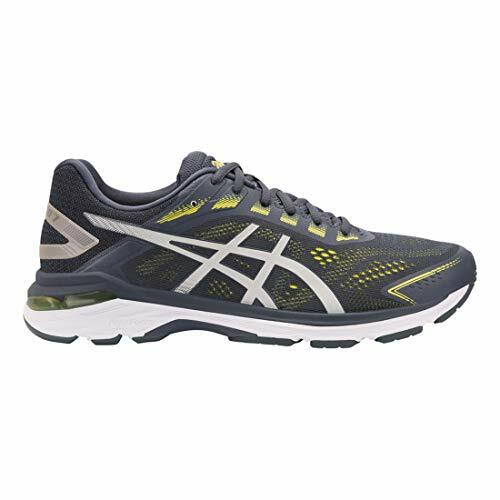 The ASICS GT 2000 7 has gel cushioning and great support, making it the perfect shoe for bad ankles. 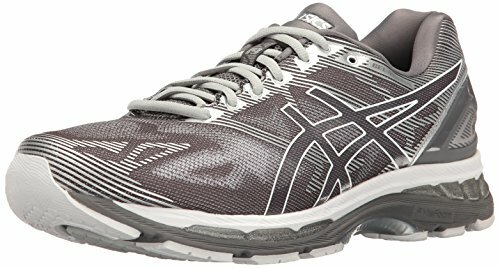 The ASICS GT-2000 7 works best for over-pronators, but also does a good job at keeping ankles secure for neutral runners. The Impact Guidance System technology adds stability to increase support while running. This system does a good job of keeping your ankle from rolling. The exoskeletal heel counter provides a snug, supportive fit in the heel and around the ankle. The heel counter hugs your foot, providing excellent support. Runner’s World awarded it ‘Best Buy’ in 2017, confirming that it’s a great choice. Don’t let the sleek design of the Brooks Adrenaline GTS 19 fool you – the shoe provides great ankle support. The Adrenaline 19 is a stiff shoe to help runners with low arches. But the extra cushioning and support also makes it ideal for runners with bad ankles. The Adrenaline GTS has been an industry-wide top seller for years. This version has been completed revamped. Guide rails built into the side of the shoe between the midsole and upper provide a unique type of support. While other stability shoes use a dense piece of foam called a medial post to offer support, guide rails in the Adrenaline 19 align your foot as you run to correct over-pronation. The support is customized to your stride. If you are a heavy over-pronator, the shoe provides lots of support. If you over-pronate less, it provides less support. The Adrenaline 19 also has new DNA Loft foam. This soft, plush cushioning weighs less than traditional foam, but remains just as durable. For runners with weak ankles, the high heel to toe drop – 12 millimeters – helps take pressure off your heels and calves. The new seamless upper gives the shoe a streamlined look. It really helps make the shoe look more appealing without losing any support. 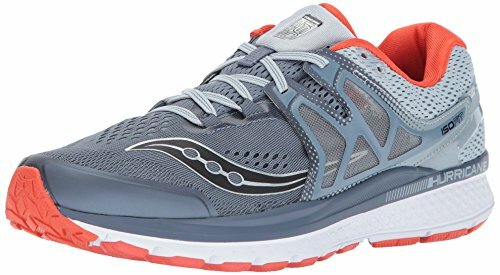 Many runners love the Saucony Hurricane ISO line for its support and durability. The Saucony Hurricane ISO 3 is no different. This shoe has several different mechanisms in place to provide support. The ISOFIT Saddle wraps around the foot and connects to the laces. This allows you to adjust the upper to be tighter or looser as needed. The fabric is still breathable, allowing moisture to escape. The soles are stiff but still offer some flexibility. This combination allows for comfort along with the support needed for running with bad ankles. Designed to adapt to your foot, the cushioning on the Saucony Hurricane ISO 3 to create a custom-fit feel. This also enhances support where you need it, making it a great choice for runners with bad ankles. 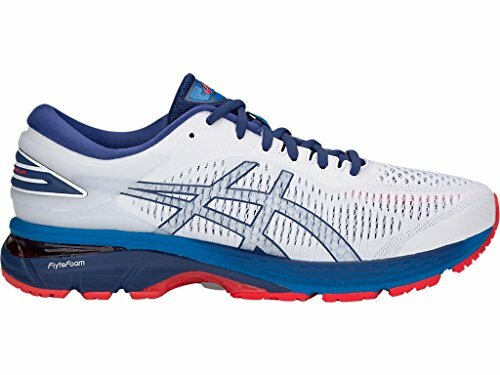 The ASICS Gel-Nimbus 20 is a great choice for runners with bad ankles. The model is known for its cushioned ride – it’s soft and plush, while keeping your ankle supported. The stiff midsole on the Nimbus provides a smooth run. And if you have high arches, the Nimbus is a better choice than the Kayano. An exoskeletal heel counter, as is common on ASICS models, provides firm support in the heel. Combined with rearfoot gel, this reduces running impact in the back of the foot. The lightweight design makes you forget that you’re even wearing shoes as you run. They also come in a wide range of colors for the fashion-conscious runner. Like many ASICS shoes, it fits snug in the midfoot. So it’s not great if you have a wider foot. The only downside to the Nimbus is its high cost. But with its lightweight design, cushioned sole, and steady support, it’s still a great option for runners with weak ankles. 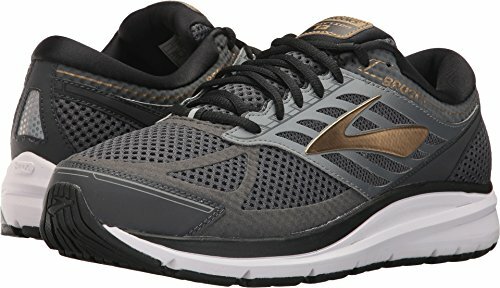 The Brooks Addiction 13 is a supportive, motion control running shoe. It’s on the heavier side, but great if you want a lot of stability. If you worry about your ankle rolling as you recover from injury, the Addiction is ideal for ankle support. The Extended Progressive Diagonal Rollbar guides your feet back on track as you run. This support works well to prevent rolled ankles. Earlier models of the Brooks Addiction line could support custom orthotics, and these are no different. The shoe has a wide toe box and a variety of width sizes available. You’ll be able to find one that fits your foot like a glove. The upper mesh is made of durable, breathable materials, providing you with plenty of support on the top of your foot. This provides a secure fit while keeping your feet cool. The Brooks Addiction 13 takes little to no breaking in. It’s also true to size, so you can pull it out of the box and hit the road right away. 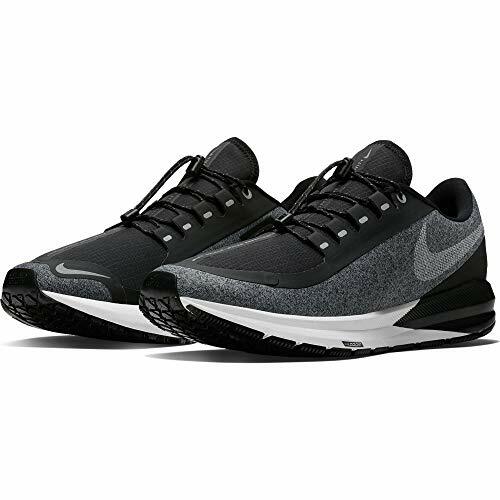 The Nike Zoom Structure 22 is an all-around improvement over previous models in the line. It’s almost an ounce lighter due to new fabric in the upper. That Flymesh fabric also provides ventilation, while the new midsole provides more support. Air cushioning in the forefoot helps to absorb impact, which reduces strain on your ankles. There are also two types of foam cushioning. These further help reduce impact and provide a smooth transition. The Zoom Structure 22 comes in a variety of colors and sizes, letting you choose the perfect shoe for your personality. The comfort and arch support are ideal for running with bad ankles. Nike is a trusted, household brand that puts its money where its mouth is when it comes to quality. The 990 running shoe has been going strong for 30 years, and the V4 is a great new addition to this iconic line. 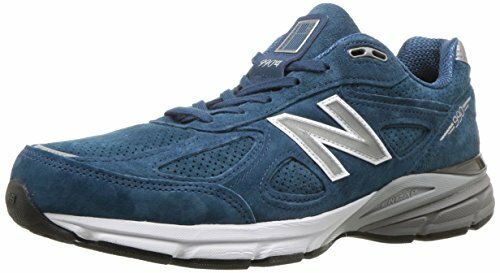 Made in the USA, New Balance takes pride in the quality of this running shoe. This shoe was created to be durable and supportive. A blown rubber outsole is good for roads or light trails. The pigskin leather and mesh on the top of the toe box is breathable without being flimsy. The variety of size options make it ideal for runners who have difficulties finding a unique size and width. The design makes it stiffer than most, which is great for bad ankles. It provides support for over-pronation, helping to prevent rolling your ankles. The 990 is a classic shoe that has changed much in 30 years. 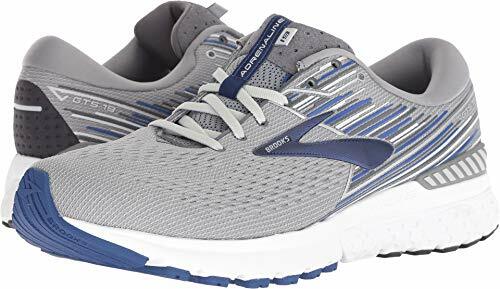 Through all the changes, though, it remains a supportive shoe that looks good enough for casual wear while providing great support for running. 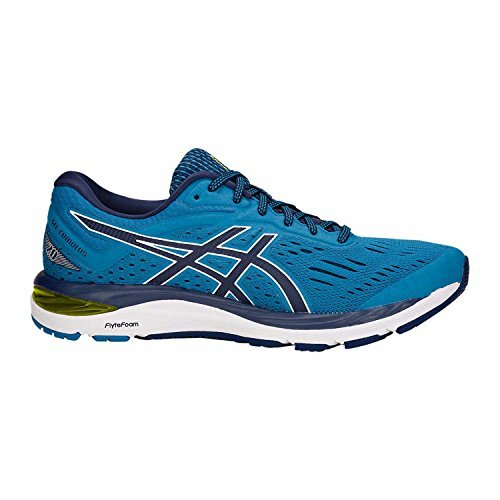 The ASICS Gel-Cumulus 20, much like earlier versions, is cushioned without added weight. Runners have reported it feels like they’re running on a cloud. The Gel-Cumulus 20 has gel cushioning in the rear and forefoot of the midsole. This absorbs shock with every stride, so your ankles don’t have to take the hit. There’s extra support in the midsole for runners with high arches, too. The FluidRide midsole is both supportive and cushioned, providing a cushioned yet responsive ride. A seamless mesh upper is both flexible and reinforced. The flexibility allows it to adapt to your foot while still being breathable. It’s the perfect combination for comfort. The stiff design and cushioning make it an ideal shoe for runners protecting their ankles. The heel counter adds further stability to the shoe. The Cumulus isn’t too different from the Gel-Nimbus. It’s not quite as plush and cushioned, but it costs less and has a zippier ride. Combining a lightweight design with high stability, these shoes are a great choice for runners worried about their ankles. The Cloudflyer has a V-molded heel cap over state-of-the-art memory foam. This ensures a snug fit through the heel and provides extra support around the ankle and lower foot. The unique lacing system helps to provide stability and comfort to the top of the shoe. This provides a secure fit, locking the rest of the support into place. The sole of the shoe is wide and that width helps provide a stable ride, allowing runners to place their feet with confidence. 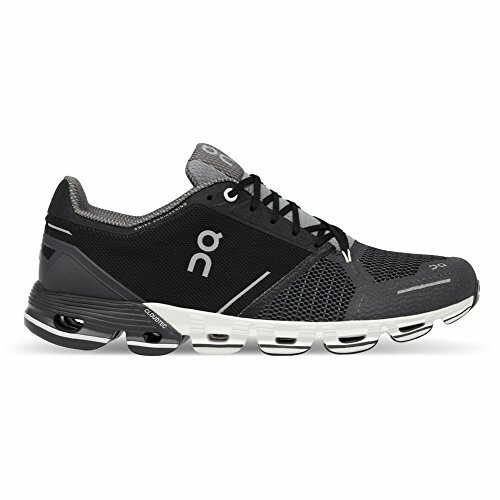 The On Cloud Cloudflyer is great for runners of all distances. Whether you’re just starting out or you’re starting to put on the miles, this shoe will last you for a long time. Why do my ankles hurt after running? Sore ankles can occur for a variety of reasons after running. It could just be the pounding on your feet and ankles, or it could be a symptom of arthritis, muscle strain, a minor ankle sprain, tendinitis, or tight muscles. Dr. Sebastian Gonzales, who specializes in running injuries, identified the six most common reasons for ankle pain: Achilles Tendonitis, Anterior Shin Splints, Ankle Impingement, Chronic Ankle Instability, Tarsal Tunnel Syndrome, and Peroneal Tendonitis. The best way to strengthen your ankles is to wait 24 to 72 hours after running to try stretching and strengthening exercises. Some examples include standing calf stretches, ankle circles, heel walks, towel pulls, hand-foot wars, leaps, and calf raises. Also, don’t forget about your core! The stronger your lower body and core is, the better support your ankles will have. Exercises like squats and lunges will strengthen your whole drive train, and in turn strengthen your ankles. My ankles roll out when I run – what should I do? Ankles rolling out is often caused by excessive supination, meaning that the runner’s foot does not roll inward enough, which puts a strain on the ankle and can cause the ankle to roll outward. If this describes you, you have several options. Stretches like a calf stretch, plantar fascia stretch, and knee stretch will all assist you in strengthening your ankles. In addition, good footwear that has extra cushioning, arch support, and a roomy toe box may also help your ankles when you run. Finally, using orthotics, proper form, and physical therapy are all ways to reduce your ankle pain—particularly from them rolling out—when you run. My ankles roll in when I run – what should I do? Ankles rolling in is called ankle pronation, as your foot rolls inward and your arch flattens. You can have a friend easily check to see if your ankle are apt to roll in when you run by having them watch from behind and see if your Achilles tendon, which should be straight, bends. A small amount of pronation is not just natural—it’s necessary to how your foot absorbs impacts. But if you find out that you are suffering from over-pronation, you have several stretching options: toe lifts, golf ball rolls, towel scrunches, and calf/heel stretches on the stairs. In fact, one of the best ways to address ankle pronation is walking on the beach! According to sports medicine expert Gary Moller, walking in sand will spread your toes and help stretch out the tendons in the foot and back of your ankle. How should I treat my sore ankles after running? There are a variety of different things you can do if you experience sore ankles after running. You’ll need to find the ones that are best for you. I personally like to stretch both before and after my runs, ice my feet, incorporate strength training on my non-running days, and make sure that my rest days are real rest days (I sometimes will do light yoga on those days). Icing your muscles after you run is important to enhancing muscle recovery, and this is certainly true of sore ankles. In fact, a cold shower—or even better, an ice bath—will work on a larger area than just localized icing. Ice baths are definitely ideal for a preventative measure to avoid injuries. Don’t rule out heating, but also use it with caution. Heat can be helpful if you are tight, but remember that it expands and further inflames the muscles, so you don’t want to do more harm than good. Alternating cycles of heat and ice could be a good option. Stretching is key to helping prevent sore ankles and other injuries. Dynamic stretching tends to be more helpful than static stretching, particularly before a run. Try to avoid being lazy either before or after you run, and get that stretching in. Yoga on your off days can help too. Strength training is another great way to improve your performance and prevent injuries. This is especially true for older athletes. If you find yourself with a lot of ankle pain, you should consider weight training, functional strength training, and core work to alternate with your running days. Finally, don’t forget the importance of resting and relaxing. The RICE formula is a great response to a hard workout: rest, ice, compression, and elevation. Take advantage of the excuse to kick up your feet and binge watch that show on Netflix! Should I tape my ankles before running? Although not extremely common at your local gym, some people do like to tape their ankles before running, and it’s true that lateral ankle sprains account for the majority of leg injuries. However, research suggests that while ankle taping does successfully protect the ankle, it could move stresses up to the knee and cause injuries higher up the leg. Thus, it’s important to carefully consider if ankle taping is going to be best for you. If you do decide to tape, it’s best to do so after you have injured your ankle, not as a preventative measure. Also, in order for an ankle wrap to be effective, it must restrict the ankle’s range of motion, so make sure that your taping is tight enough. Finally, it’s probably best to consult a physical therapist or athletic trainer to make sure that taping is the right thing for you.